#supbikerun... we have totally flipped the traditional triathlon format on its head. The swimming has been replaced with SUP (stand up paddle boarding) and both the bike and run are set on off-road trails and tracks. 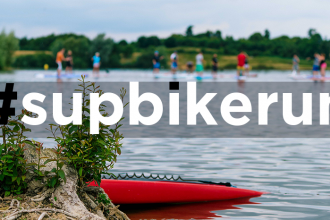 Experience the ultimate off-road triathlon event and challenge with #supbikerun.